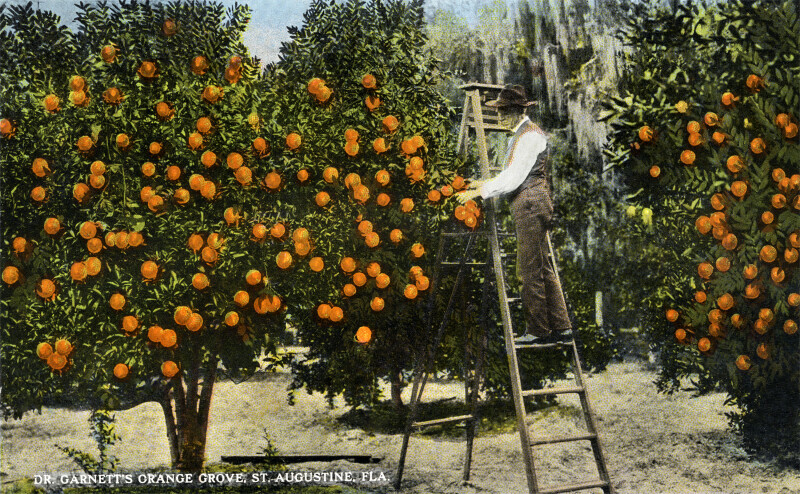 This image shows a man, on a ladder, picking oranges. To the left and right, the trees of the grove are heavily laden with oranges. In the background, there is a large quantity of Spanish moss, but the tree is not visible.